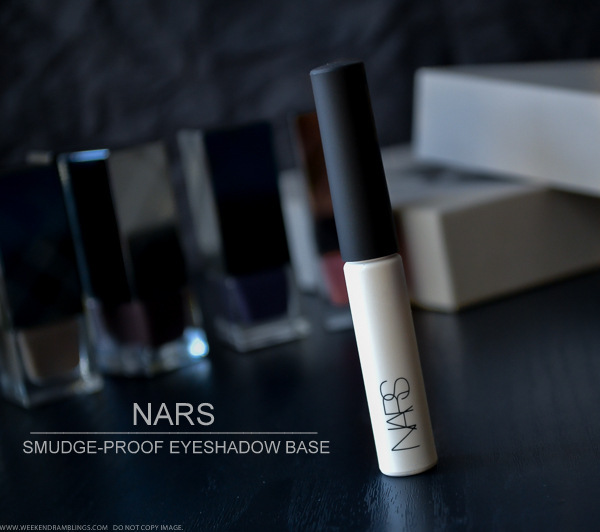 The NARS Smudge-Proof Eyeshadow Base comes in a tube packaging, similar to a lipgloss complete with the doe foot applicator. It's a clearish white primer and dries transparent. A little bit is all you need, and it does a great job of holding on to shadows all through the day as well as getting the eyeshadows to look just a bit more vibrant. I have applied a lot more than I would use on my eyelids, which is why there is a whitish cast. On my eyelids with much less used, it dries almost transparent. that would depend on the quality/texture of the eyeshadow. 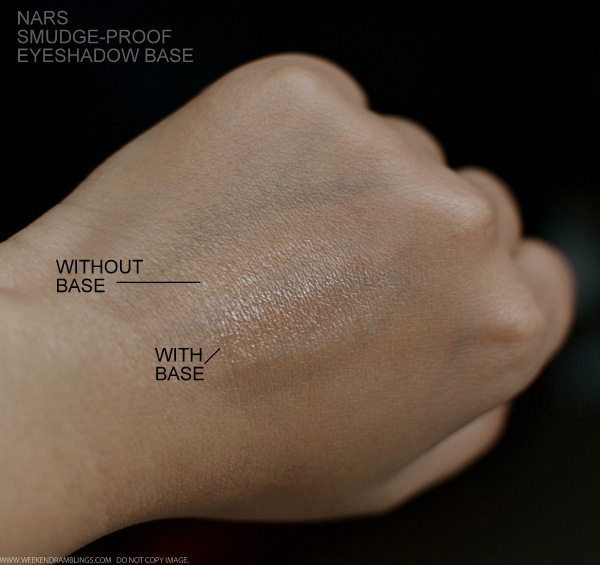 It does help the shadow go on more evenly. I brushed off the eyeshadow swatches with a soft cloth. The primer obviously did a great job at holding on to the shadow! 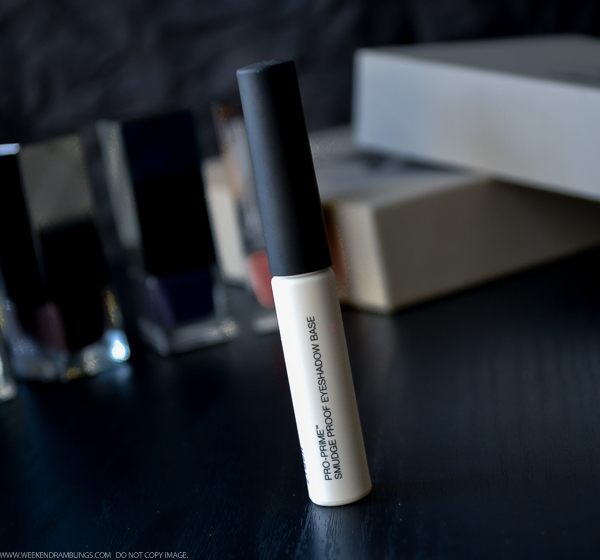 It definitely is a fabulous eye makeup primer, but if I had to be honest, the UD Primer Potion works just as great for me, and it comes in an easier-to-use-every-last bit packaging that's a little less expensive than the NARS primer. 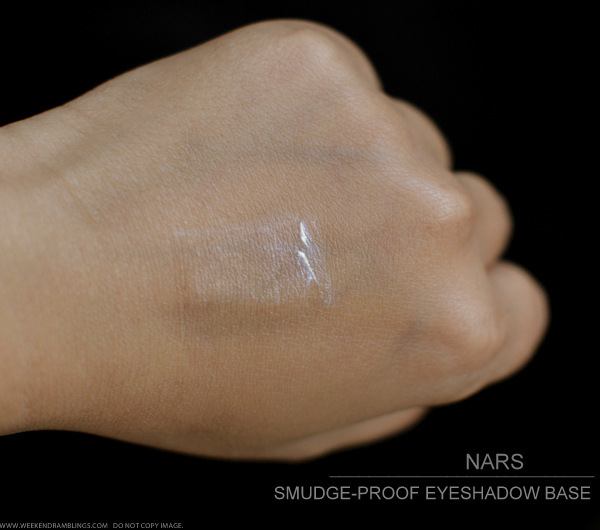 The only difference I could think of is the NARS Smudge-Proof Eyeshadow Base might be better for oily eyelids as I think it dries to a bit more of a powdery finish than the UD primer. 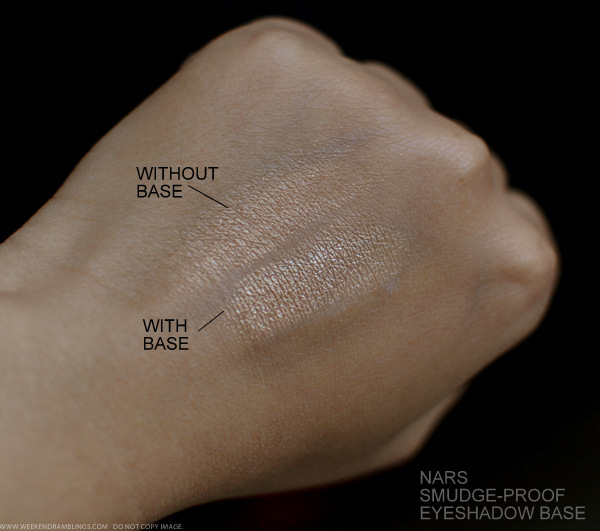 Bottom-line, if I could pick any primer I want, I would definitely buy the NARS Eyeshadow Base, but if I was being sensible, I would probably just go with the UD Primer. Btw, long time, how have you been?? I LOVE this base. 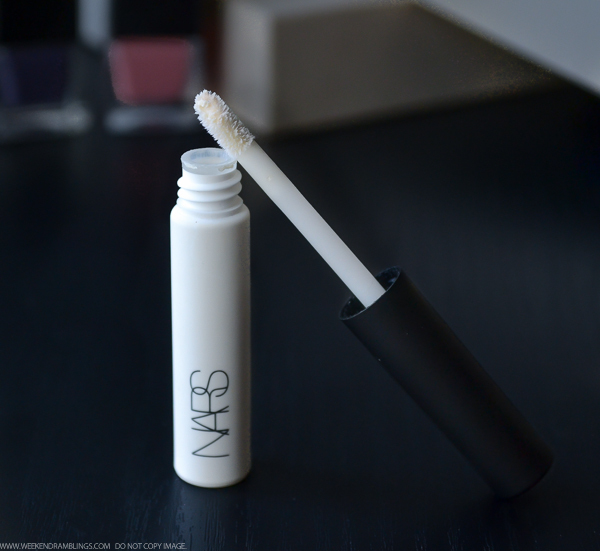 My love and explosive purchasing of ALL THE EYE THINGS coincided with my using this product. :) I have all manner of weird folds/creases on my lids plus teh oils, and this is such a great product to make all the pencils and shadows cling. Have you also tried the WnW Fergie ones? Those are very inexpensive and work quite well. I do think that one has a slight rubbery texture when it dries, but in terms of providing a surface for eye stuff to stick to, it does really very well. 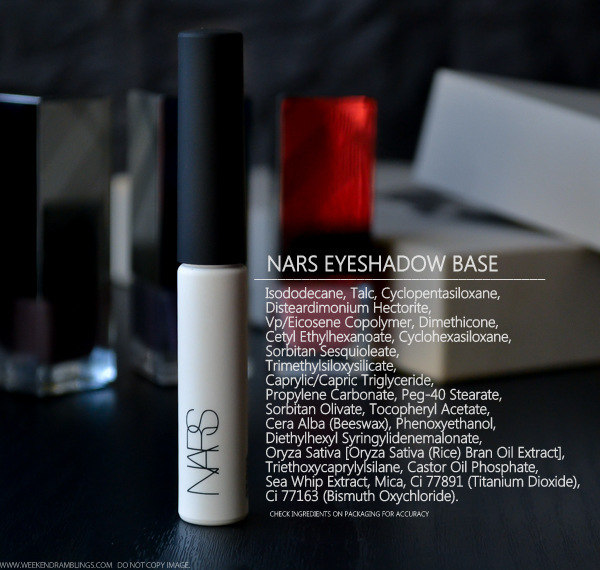 I actually much prefer the Nars...it gives my eyelids a smoother finish; UD makes shimmery eyshadows go a bit crepey on me!! Oh I don't remember trying it with shimmery shadows..I will check that next time..